With the market offer changing periodically, many photographers choose to sell their used cameras and invest in new equipment. While a sign of a healthy organic market, this also allows other photographers to upgrade their equipment to the previous generation without making a qualitative compromise and save money in the process. Buying a used camera and navigating through used cameras offers may prove tricky. We put together a guide to buying used cameras. Whether you are an entry level photographer and looking to fine tune your skills with entry models or you’re looking for backup camera, our comprehensive guide will walk you through the essentials. There are plenty of online resources that offer used cameras for sale. Some are more credible and authoritative, while others less so. Pick your resource carefully. We hope you find the best place to buy used cameras in this short list. eBay. As with used camera lenses, eBay is a great resource for used digital cameras or used film cameras. With plenty of filters that can be activated from the left menu, eBay is a sure shot. FredMiranda forums. Among FredMiranda forums you will find forums dedicated to selling and buying used camera and used camera gear. These forums are unlike a used camera store, but they host a wide variety of used camera equipment and used cameras from vetted sources. KEH.com. KEH is another great online resource. Photographers looking for good deals on previous generation photography gear may find just what they need. KEH used cameras are a top sellers as this is a great site for its return and money-back policies in case something doesn’t go as expected. B&H used cameras. B&H has been a trustworthy resource among used camera stores for a while now. Check their offers too when venturing to purchase used cameras and used camera gear. You should be able to examine the used cameras or used camera equipment you are about to purchase. Look for this option first and avoid going with luck. Words like “mint condition”, “perfect condition”, “rarely used” and other variations don’t mean precisely that and they’re simply marketing tricks. You must check the return or money guarantee policy before proceeding with the purchase of used cameras. As appealing as an offer looks, used cameras may hide a couple of imperfections. Provided you were able to establish a face-to-face meeting with the seller or the used camera store has a sound return policy, follow these guidelines to perform a quick examination of the camera. First of all, take your laptop with you to a potential meeting. A laptop is necessary to check for image defects and imperfections. AF inaccuracies, dead pixels or sensor defects are easy to detect with a quick test. Check the used digital camera sensor for dead pixels. A couple of dead pixels aren’t necessarily a deal breaker. Many more than that are. Thus, we advise you to shoot one image with the used camera. Make it RAW with base ISO setting and keep the lens cap on. The laptop will prove useful to check for dead pixels when the image is at 100% zoom. Shutter Count is important. Camera manufacturers rate their cameras for a certain shutter actuation number. It’s true that some cameras can go way over the tested number. 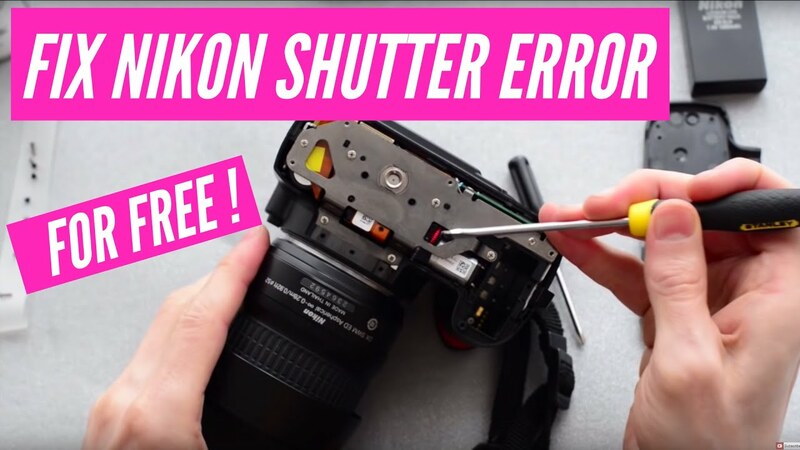 Nonetheless, when looking for used cameras and settling for a model like a used Canon camera or a used Nikon camera, make sure you know the exact maximum shutter actuation number for the respective model. The same RAW image used for the dead pixels test can be used to find the shutter actuation number of the used camera you are about to buy. Used PhotoMe or other programs to check the number. The shutter life of used cameras is important for the life expectancy of the camera and the price of used cameras. There’s a slight difference between ‘barely used’ and shutter actuation number 10,000. Nikon used cameras or Pentax used cameras will render the shutter count in the image’s EXIF data. For other used cameras, check PhotoMe, MyShutterCount or Shuttercounter to pull the info on the shutter actuation number. Used Canon cameras require different programs for the actuation number. Chamber/Sensor Dust. Used cameras will naturally have accumulated some dust specs on the sensor. However, too much dirt or dust may require a manufacturer clean-up of the used cameras. This aspect should be well reflected in the price of used film cameras or used digital cameras. Also check for sensor scratches or other imperfections. The image snapped with the used camera will reflect most of the sensor problems. Take a picture of the sky and view it at 100%. The lens aperture should also be set at the highest available number. Check Autofocus. As in the case of used camera lens, AF errors must be checked for. Thus, add a lens to the used camera and see how it focuses. The standard autofocus test involves a distant subject shot with regular phase detect and live view. Autofocus differences or serious issues should be immediately noticeable. The mechanical condition of used cameras is not a trifle. The simple appearance of used cameras are telling of the conditions they’ve been used in. Not all imperfections reflect on the quality of used cameras, but they should be reflected in the used camera prices. Exterior dents and scratches. Used cameras will inevitably feature a few scratches here and there. They don’t impact the mechanical condition of used DSLR or or used film cameras, but it’s useful to get an idea of how the camera was used. Check if the camera was dropped and then check for the possible internal imperfections. Some used cameras are heavy and made for rough conditions. Nonetheless, a drop and a heavy camera body may result in internal damage that is costly to fix. Take a peek at the memory card compartment. Pin connectors should be in perfect state inside the card mount. The slightest bent may damage memory cards beyond repair. Check cover materials. If the rubber on the used camera’s grip or on the back of used cameras is coming off then it may have been used in very moist conditions. It’s not too important as the rubber can easily be glued back on. However, moist conditions may impact the body of the camera. So be sure to check everything inside out. Lens Mount. If the lens mount of used cameras isn’t in perfect condition without bends, dents and unclean contact pins, the camera lens won’t mount securely. LCD Screen and the Viewfinder. Also check these for scratches and dust. An LCD screen that’s already scratched will be fairly costly to replace. We hope you find our guide on how to buy used cameras useful. Remember that buying used cameras is a great way to upgrade to previous generation gear, often without investing huge sums.